How Forex Connects to Other Markets | Read Forex Trading Articles! How Forex Connects to Other Markets! 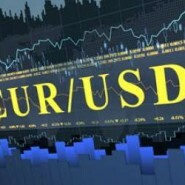 Most Forex traders will simply stare at the currency pairs, completely oblivious to the world around them and the fact that it takes various reasons to move that money from one international border to another. This is a very common problem with Forex traders, as they are brought into this world under the assumption that Forex is where all of their money will be made. They are often enticed by the fact that Forex offers the most leverage, and is supposed to be the most “simple” market out there. Because of this, they miss a lot of the more obvious signals that professionals around the world pay keen attention to. By knowing some correlations, you can often see signals and other markets before you see them on your Forex terminal. As an example, the gold market is often either predictive more reactive of the Australian dollars moves. This is simply because Australia exports massive amounts of gold. If you think about it, it makes sense as companies will have to pay these Australian miners in Australian dollars. So as gold rises, as a general rule over time the Australian dollar will as well. Another market the trader should pay attention to is the crude oil market. The futures market for crude can often have a massive effect on the Canadian dollar. This is because Canada exports so much crude oil to the rest of the world, with a special emphasis on the United States. Because of this, as the price of oil rises the value of the USD/CAD pair will fall – which of course signifies strengthen the Canadian currency. This is a double whammy of fact, has the oil markets are priced in dollars. So as the value of the US dollar falls, it will take more of them to buy those barrels of oil. By knowing a couple of these correlations, you can often see an anomaly in one market ahead of the other one. For example, if you see gold breaking through resistance, there is a very good chance that you will see a rise in the value of the Australian dollar. Or perhaps you see crude oil falling in price. As it breaks through support, the US dollar will typically rise in value over the Canadian dollar. As you can see, these are trading signals in and of themselves but rather a good way to get a “heads up” on where to be looking for trade setups in the currency markets.